The dish I present today to you is a very easy to do dish. 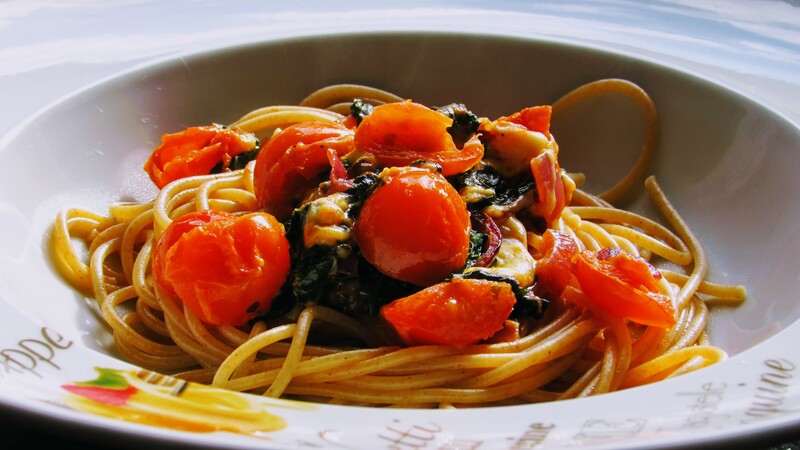 I love Italian food that’s why I cannot resist cooking it. Sometimes I’m so busy that I don’t have much time to cook, but I prefer to cook with fresh vegetables though. As it is not really complex to prepare spinach, it is one of the vegetables I use when I have to be quickly in the kitchen. Once you’ve prepared it you will love it. To be honest my kids don’t like it that’s why this recipe will be sufficient for two adults. I would be happy, if you have any suggestions for improvements for this dish. Feel free to leave a comment. I’m looking forward to your comments. 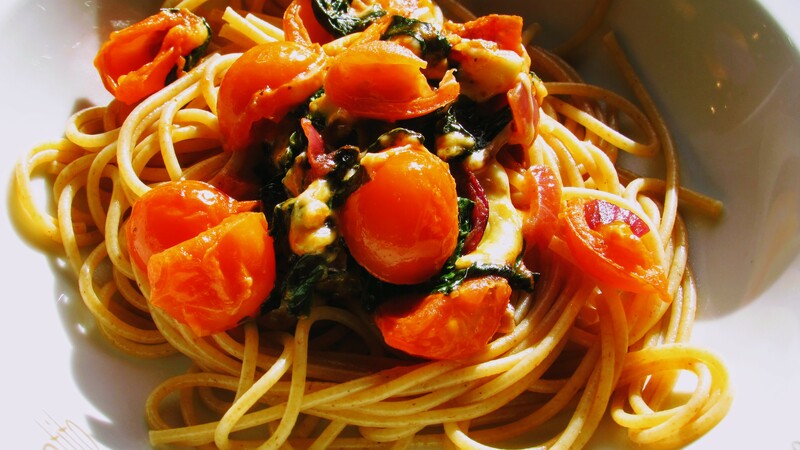 But now let’s go for our easy to cook and super delicious Spaghetti with spinach and tomatoes. I hope you like my recipe. Remove the stalks and unpleasant parts. Set the spinach aside. 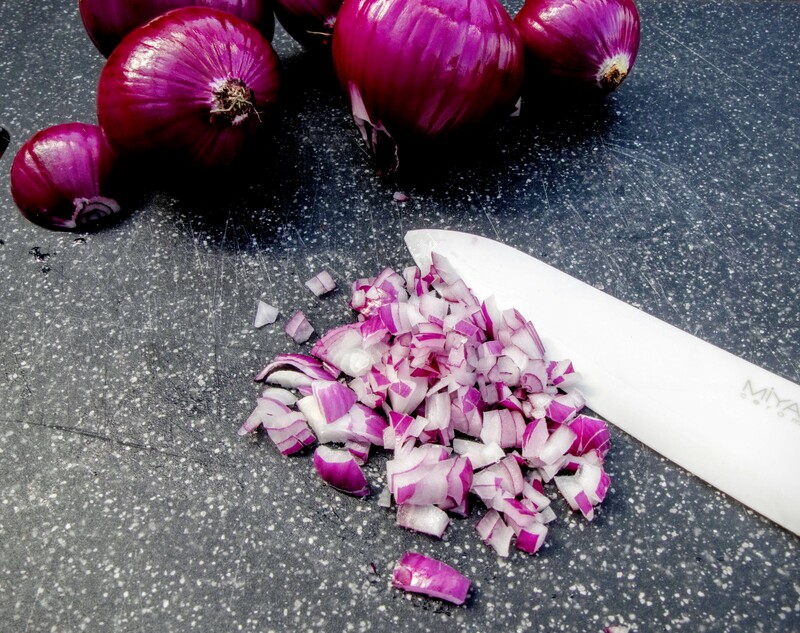 Peel and chop the onions and the garlic cloves. 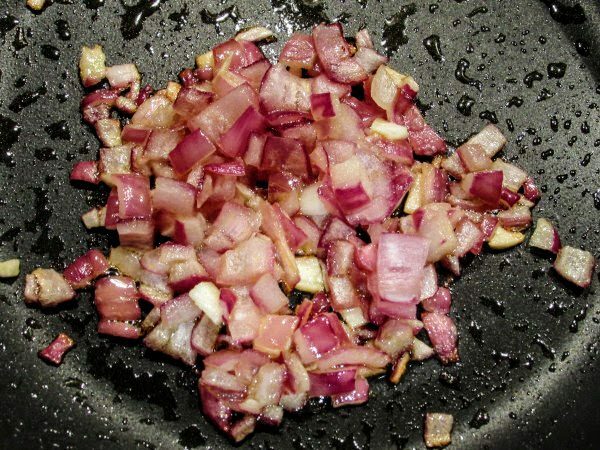 Pour the oil into a pan and heat it at medium heat. Add the onions and the garlic and fry them until they are soft. Chop the spinach into stripes and add it to the onions and the garlic. In the meantime prepare the Spaghetti according to the instructions given on the packing. Season the spinach to taste with the salt and the pepper and add the pinch of nutmeg. Wash and halve the cocktail tomatoes. Add the tomatoes into the pan and season them with salt. Chop the mozzarella into slices and add 1-2 slices to the spinach and tomatoes. Put the spaghetti on two plates and arrange the vegetables on top of the pasta.